A bubbly outsole supports its knitted upper. 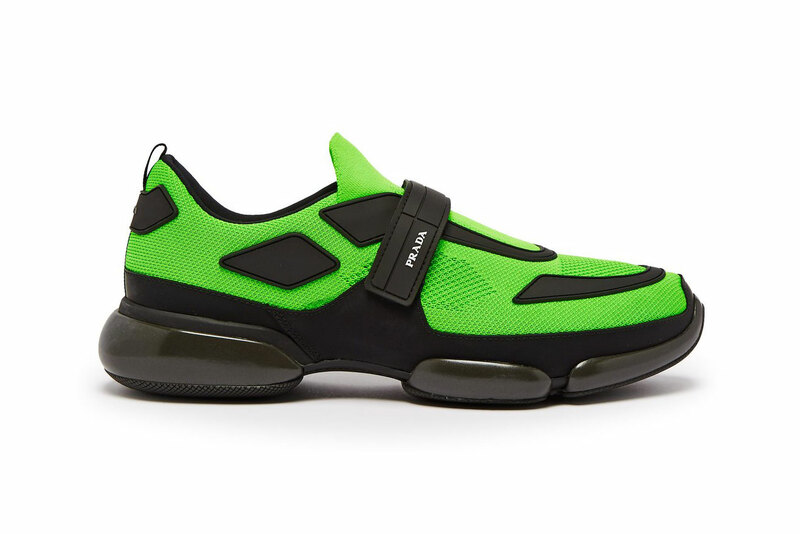 Prada’s Cloudbust model arrives this season in an attention-grabbing, neon colorway. Its previous “Black/Orange“ iteration is followed up by a combination of bright green and black along its knitted upper. The elevated sportswear sneaker sits atop a bubbly rubber outsole and shares a velcro strap across its midfoot. Finally, the colorway is topped off with a small Prada insignia at the end of the aforementioned strap. All of which elevates the luxury brand’s sneaker offering into the athletic-inspired lifestyle footwear realm made popular by sportswear labels. The Prada Cloudbust “Green/Black” is currently available at select stockists such as MATCHESFASHION for $774 USD. If you’re not feeling the Cloudbust, you can take a closer look at its industrial Mechano model. Ordered to pay the original artist $153,000 USD in damages. It’s been a good year for entertainment. A conversation about a naked music video shoot. A sleek take on the collaborative shoe. Through the lens of street photographer Cian Moore.